I am so excited to bring you this review today! 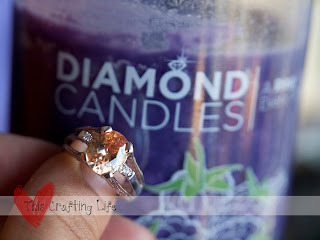 I was offered the chance to get a free Diamond Candle- and to give one of my lucky readers a Diamond Candle too!!! In every delicious smelling candle, there is a ring worth $10, $100, $1000 or $5000! 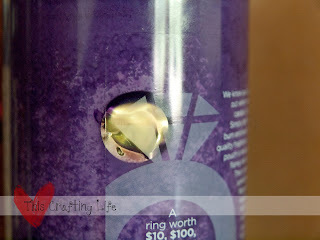 It contains instructions right on the jar of how to get to your ring. 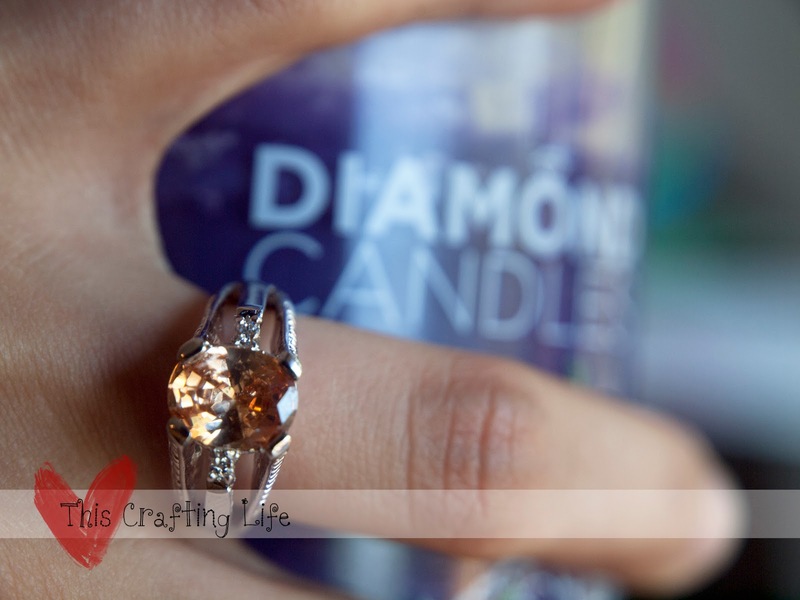 I wanted to enjoy the candle, rather than try to cheat my way down to the ring, so I let my candle burn naturally and at times that I would normally use it. I also never poured wax out or dug in the wax. Day 1: Opened the box. As soon as I took the lid off the candle, I could smell it. I picked the Black Raspberry Vanilla and it's heavenly! It is also about 98 degrees here today and the candle had a little melt to it because it sat in my mailbox all day while I was at work. It didn't affect the wick or anything, so I'm sure it will be fine. I can see where the ring is, and it's just over an inch down in the candle. I think it's nice that it is on the edge where you can see it- I think otherwise you would want to dig in it every chance you got to find out where it was. I burned the candle for about an hour. Day 2: Woke up and just had to light it. My kids first comment was "What's that yummy smell?" Burned it today for 5 Hours. Day three: Still enjoying the great smell, burned today for a total of seven hours. Day four: Burned candle today for two hours and finally discovered the foil package. Extinguished candle and immediately opened ring package, and found this beautiful ring! I did not end up with a ring worth value, however it's a pretty piece of costume jewelry that I will probably wear to social functions to match outfits that I already own. The real joy out of this was the candle, everyone in my house thought that the candle smelled wonderful and visitors notice the smell right away. It has burned for quite a long time and there still a lot of candles to go, I am looking forward to continuing to enjoy the smell. If you'd like to see more of their selection, check out their Facebook page! Overall, it had a great burn time, and a great smell continually. So now to the giveaway portion of this blog post, I have been looking forward to this for a couple weeks now. 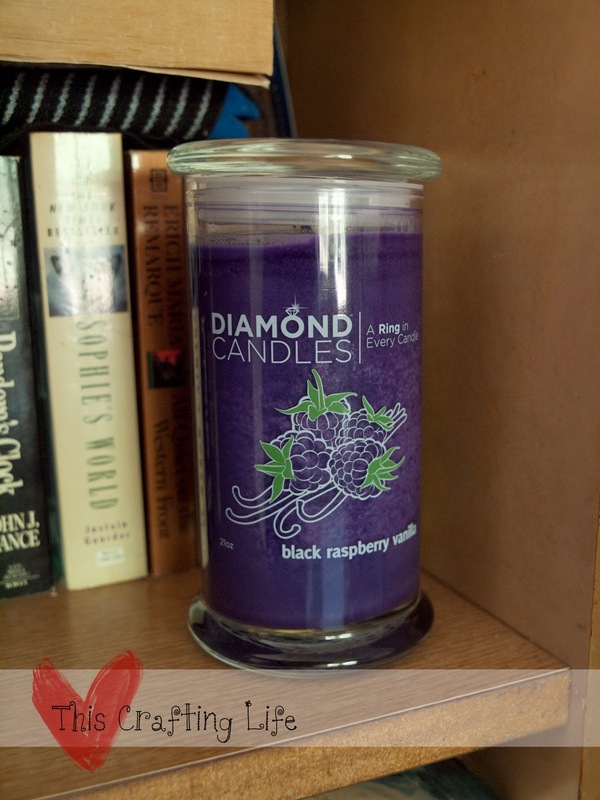 All of my readers have a chance to win one of these wonderful Diamond Candles yourselves! Simply enter via the raffle copter below! 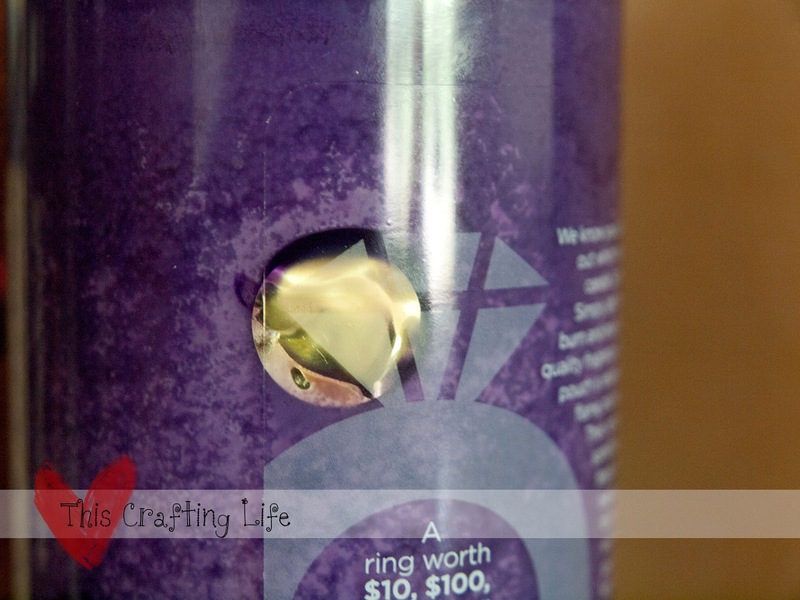 Giveaway ends on September 19th, so enter today!! !